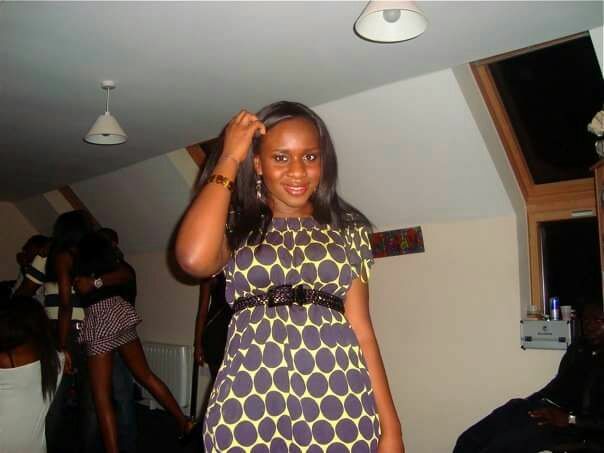 The All Progressive Congress, Delta State Leader, Olorogun O'tega Emerhor OON, and His lovely Wife Rita Emerhor will be giving out their Daughter, Onajiter Tracy Emerhor into Marriage to Mr Anthony Ogwe who is from Imo State. 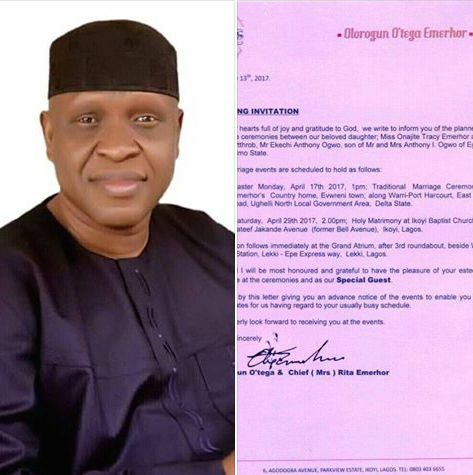 The traditional marriage that is schedule to take place in Ewwreni, Ughelli North local government Area of Delta State, the country home of the bride parents will kick off 17 April 2017. 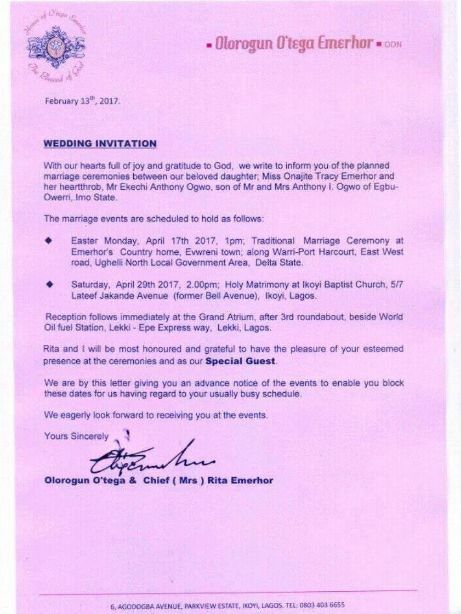 Meanwhile Saturday, 29 April 2017 by 2:pm the white wedding will take place at Ikoyi Baptist Church, 5/7 Lateef jakande avenue (former Bell Avenue, Lekki, Lagos. We say congratulation to them in advance!